Many times a seemingly straightforward relocation can turn up to be a stressful endeavor which will consume vast amounts of your time, money and energy. So, why don’t you play it safe and have us from Titan Removals to handle your move from start to end. We are seasoned movers and we are credited to provide the most reliable and affordable removals in Islington, EC. We have worked hard to build our current reputation and this is why we don’t take it for granted but work even harder to maintain it intact by constantly ameliorating our services, so that our clients can benefit from the finest man and van options in the area. We have the necessary knowledge and technical capacity to handle all types of property removals in Islington. To us it doesn’t matter whether you are moving your house, office, warehouse or villa because we have the manpower to easily tackle even the most demanding and labour intensive moves. To date we have never failed to complete a job in full accordance with the highest standards of the industry and the requirements of our clients and we guarantee you that if you entrust us to handle your domestic or commercial removal in Islington, NW, you will be fully satisfied with our execution, professionalism and diligence. After all it is not a fluke that we are the favorite man and van contractors of the local residential and business communities. We handle all the removals in Islington for which we are hired with the aid of our fleet of new and clean vehicles. Our vans are fitted with the latest navigational systems and are equipped with numerous safety features that keep everything in place and protect the moved items during transit. The best aspect about our armada of man and van vehicles is that we rent them out at highly reasonable prices hence our reputation of providing the most affordable moving vans rentals in Islington, WC. We are also ready to lend you one of our experienced and highly skilled professional drivers if you aren’t feeling confident enough to drive a fully loaded vehicle through the narrower streets of the borough. To our knowledge we are one of the few man and van contractors in the area that accept last minute bookings. It is like this because we work with a flexible work agenda which always has free slots for new and challenging Islington removal projects. This also means that we are very easy to hire, so if you have decided to work with us, stop wasting valuable time and give us a call today, so that we can talk about the parameters of your upcoming relocation and determine an execution date that will best suit your personal preferences and needs. Once you get in touch with us, don’t be timid to ask our polite and knowledgeable phone operators all the questions that are on your mind. 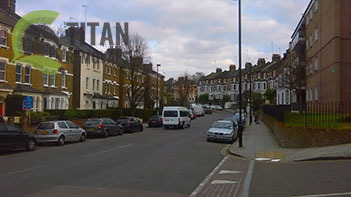 As you already know we operate in the London Borough of Islington, NW. The area is located in the central parts of the English capital and is precisely 5.74 square miles big. It has a population of approximately 220.000 people and is one of the city’s most densely populated boroughs with a density rate of 39.000 people per square mile. Islington is home to numerous well-known landmarks such as the Almeida Theatre which is perhaps the area’s most prominent entertainment venue. It was originally opened as reading rooms in 1833 and converted into a theatre more than a century later in 1982. The edifice was designed by Roumieu and Gough and is considered by many to be one of the most beautiful in the city. Today, the venue has a capacity of 325 seats which are divided on two levels and stages most short seasoned productions which are later transferred to some of the West End entertainment venues if they turn out to be successful. 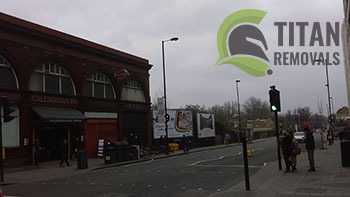 The King’s Head Theatre is another well-known entertainment venue that lies in the Borough of Islington, WC. It was established during the early 1970s and is classified as an opera house. It is credited as the first and longer functioning pub theatre in the United Kingdom and tends to attract both local and foreign visitors on a daily basis. The area is also home to the world famous Emirates Stadium which is the home ground of the highly successful English football club of Arsenal F.C. The construction of the facility started in 2004 and ended two years later in 2006. It has a capacity of 60.260 seats and 152 executive suites, and is one of the largest football stadiums in Britain and Europe. Other prominent places of interesting in the area are Union Chapel, London Canal Museum, Odeon Cinema, Islington Museum and many more.